Becoming a CPA in Louisiana has a few different requirements than many other states. While many states require a CPA candidate to major in accounting in college, in Louisiana any major is acceptable, as long as the person has taken the requisite number of business and accounting courses. CPA candidates in Louisiana must complete 150 semester hours of college and earn a bachelor’s degree. The State Board of CPAs of Louisiana must find the college or university acceptable, and it must be accredited by one of the national accreditation organizations. Candidates must also successfully complete three semester hours in either accounting theory, advanced financial accounting or nonprofit accounting or auditing. They must complete nine semester hours of elective accounting courses beyond the elementary level. Candidates must also complete 24 semester hours of business courses, including three hours of commercial law, which must address the Uniform Commercial Code. While accounting or business internships do not count toward the educational requirement, up to six hours of such internships may count toward the 150 semester hour requirement. Once your application is accepted, you will receive a Notice to Schedule from the National Association of State Boards of Accountancy (NASBA) via your chosen method, either email, fax or regular post. The Uniform CPA Examination is held in five Louisiana cities: Alexandria, Baton Rouge, Bossier, Lake Charles and Metairie. Visit the Prometric website and schedule your exam. Appear at the testing site on the test date at least half an hour before the exam is scheduled to begin. You will receive your scores in the mail and you can find them online 48 hours after the exam date. For part-time employees, payroll information, time sheets and productivity records are required. If the candidate worked in academia, the titles of the college courses taught, and their dates must be included. The board meets four times a year, on the last business day of January, April, July and October. To consider your application, the board must receive it at least 30 days before the next scheduled meeting. Once the license is approved, the board will contact you. 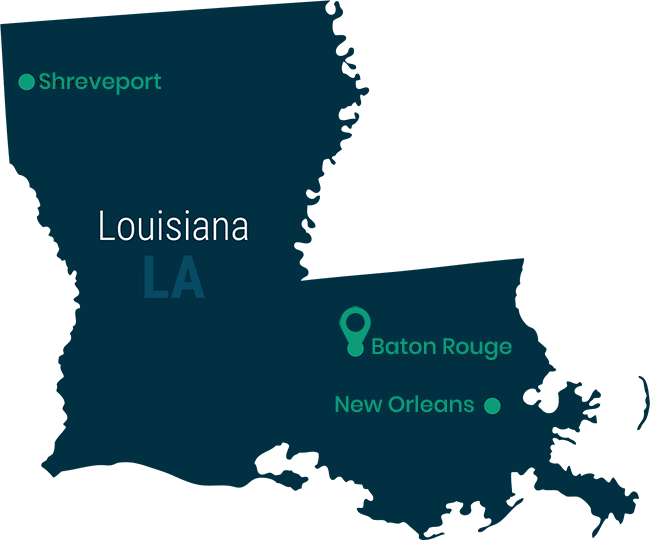 CPAs holding a license in another state with similar accountancy requirements, you may apply for a reciprocal license in Louisiana. Currently, all states and U.S. territories with the exception of the Virgin Islands have equivalent requirements. You must download the Application for a Reciprocal Certificate as a Certified Public Accountant, as well as the Authorization for Interstate Exchange of Licensure Information. Mail the latter form, along with applicable fees, to the state accountancy board holding your license. For the reciprocal certificate application, submit letters from supervising CPAs and document your qualifying experiences within the prior four years to the State Board of CPAs of Louisiana. For sole practitioners, you must include a minimum of three letters from clients stating you have at least one year of experience in public practice accounting during the previous four years. You must also submit three character references from non-relatives who have know you more than one year. If you graduated from college after 1997, you must include college transcripts proving you meet the 150 semester-hour graduation requirement. Include any applicable fees and send the completed packet to the State Board of CPAs of Louisiana. The board will examine your application and let you know if it is approved. Louisiana CPAs must attain 120 hours of Continuing Professional Education (CPE) requirements every three years. For the first three years of licensing, CPE credits are pro-rated, so a first-year licensee requires only 80 credits until the next licensing period, and a second-year licensee requires 40 credits. The third-year licensee does not need to attain any credits that year but is subject to the 120-hour requirement once their license is renewed. At the time of renewal, all CPAs must furnish a signed statement of their CPE hours. Of the 120 hours, two hours of professional ethics are required. Personal development cannot count for more than 30 CPE hours. A program hour is at least 50 minutes to qualify as one CPE hour. For those working in attestation, a minimum of 24 CPE hours must include that subject. Completion of exams for certified financial planner, certified management accountant or certified information systems auditor. This credit may not account for more than half of CPE credits. The credits are awarded at five time the length of each exam. CPE credits are available for those serving as lecturers, speakers or teachers, but cannot make up more than half of CPE credits. Writing books or articles or CPE programs cannot make up more than 25 percent of CPE credits. Publication evidence for articles and books.